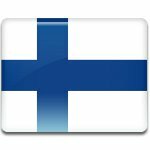 Independence Day is a national public holiday in Finland. It is celebrated on December 6 each year to commemorate the Finland's declaration of independence from the Russian Democratic Federative Republic. The territory of present-day Finland became a part of Sweden in the 13th century. In 1809, Sweden was defeated by Russia in the Finnish war, and Finland became an autonomous part of the Russian Empire. When the 1917 February Revolution occurred in Russia, Finland got a chance to withdraw from Russian rule. The Parliament of Finland adopted the Finnish declaration of independence on December 6, 1917. Independence Day has been celebrated since the first year of Finland's independence. It used to be quite a solemn occasion marked by church services and patriotic speeches. However, in the 1970s its atmosphere became more informal, for example, concerts have become an integral part of the celebration. Of course, formal ceremonies take place as well. The holiday begins with a flag-raising ceremony on Observatory Hill in Helsinki. As Independence Day is an official flag day, the flag must be flown from public buildings until dusk. The ceremony is followed by a special church service and official visits to the war memorials to honor those who died in the Second World War. In the evening, about 2,000 guests attend the Presidential Independence Day reception.